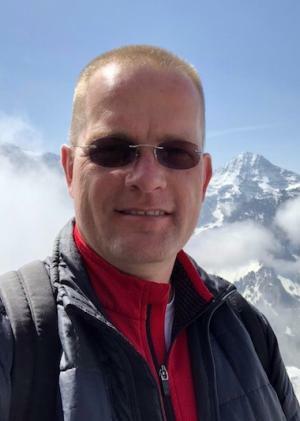 February 4, 2019 – University of Colorado Boulder Smead Aerospace Professor Hanspeter Schaub has been elected a fellow of the American Institute of Aeronautics and Astronautics (AIAA). AIAA confers the distinction of Fellow in recognition of notable and valuable contributions to the arts, sciences or technology of aeronautics and astronautics. Schaub is a prolific researcher in the field of attitude dynamics and control, relative motion dynamics, electrostatic control, debris mitigation and space mission support. His work emphasizes the study of charged astrodynamics and how to touchlessly control relative motion, as well as the modeling and control of complex spacecraft dynamics to support both near-Earth and deep space missions. He has earned accolades as a classroom instructor and research mentor, as well as for top-quality distance education offerings, and his popular and influential textbook Analytical Mechanics of Space Systems. A member of the CU boulder faculty since 2007, Schaub holds the Glenn Murphy Endowed Chair position in the College of Engineering and Applied Science. In 2014 he became a Fellow of the American Astronautical Society (AAS). He earned his BS, MS, and PhD, all in aerospace engineering, from Texas A&M University. He will be officially inducted at the AIAA Fellows Dinner on May 14, 2019 in Crystal City, VA and on May 15, 2019 at a black tie Aerospace Spotlight Gala in Washington, D.C.